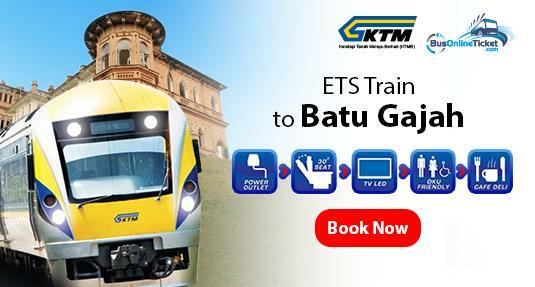 Students from boarding schools and universities usually take the ETS train to Batu Gajah to go back to their hometown. Hence, the KTM Batu Gajah train station is usually busy especially on weekends. Batu Gajah is one of the cities in Perak and it is actually quite near to Ipoh. One of the tourist attractions in Batu Gajah is the Kellie’s Castle, located around 10 minutes driving from the train station. Click to see the stops and timetable for train to Batu Gajah. 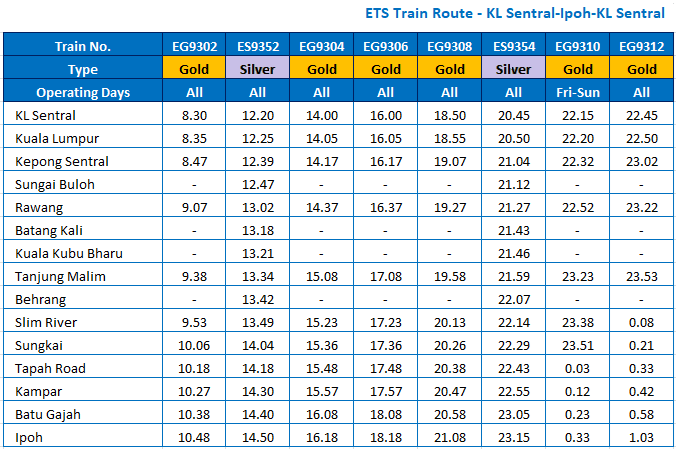 Below is the latest timetable for ETS train to from KL Sentral to Batu Gajah via KL Sentral-Ipoh-KL Sentral route, valid from 1st August 2017. Batu Gajah Railway Station or Batu Gajah train station is located in Kampung Belakor, Batu Gajah. The train station is quite simple with the purpose to serve the travelers that use the train service. It is usually crowded with students coming back to hometown in Batu Gajah or going back to their hometown from Batu Gajah train station. There is no public transport from Batu Gajah train station so you have to either opt for a taxi or find other options online such as Grab car. Apart from that, washroom, surau and OKU access is available in Batu Gajah train station. The car park is free.